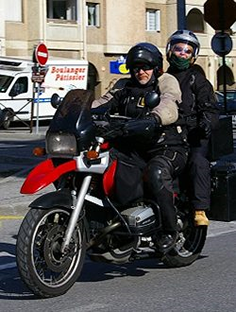 The “Northern Ireland Pedestrian Fatality Report 2014” follows Right To Ride’s Dr Elaine Hardy in-depth study of motorcycle fatalities: “Northern Ireland Motorcycle Fatality Report 2012″. Once again, Elaine has again been able to have access to the case files of the Forensic Science Northern Ireland Road Traffic Investigation Team and the Coroner’s Service, Northern Ireland which has enabled her to produce this report on pedestrian fatalities in Northern Ireland. The “Northern Ireland Pedestrian Fatality Report 2014” supported by the Rees Jeffreys Road Fund is an examination of n.55 collision scene reports of pedestrian fatalities from Senior Scientific Officers of the Road Traffic Collision Investigation Unit, Forensic Science, Northern Ireland (FSNI). Pressure to reduce road casualties is high on the list of government priorities throughout the world. The focus not only in the UK but throughout Europe of the need to reduce the number of road casualties is the subject of discussion by politicians, vehicle manufacturers, consumer groups, victim organisations and road safety professionals. Huge sums of money are spent by the European Union, national governments and local authorities to find solutions. Finding the answers to these solutions is central to research and opinion. Road Traffic Collision research from numerous countries highlights that driver visibility during darkness, elderly and intoxicated pedestrians have a common theme which is cognitive impairment. The Road Traffic Collision Investigation Unit attends road traffic fatalities in Northern Ireland. Over the five year period between 2008 and 2012, n.8 investigators attended the collision scenes analysed in this report. The findings of these reports are supported by n.37 Coroners’ Verdicts. In n.30 (55%) of cases the pedestrians wore dark clothing. The majority of collisions occurred in darkness n.35 (64%), while the remaining n.20 (36%) collisions occurred during daylight. In n.50 (91%) of the incidents, the vehicle was not driven at excessive speed (over the speed limit). Children aged between one to 16 years represented the smallest group (12.7%); the group representing adults (including one 17 year old) total n.31/55 (56.4%) of the fatalities. There were n.17/55 (31%) elderly pedestrians (aged over 70 years) involved in collisions with vehicles. In n.5 cases, the elderly pedestrians (n.2 females and n.3 males) crossed the road in front of a lorry. There were n.17/55 pedestrians (31%) who were found to have alcohol in their blood at the time of the collision. All n.17 cases occurred during the hours of darkness. The average Blood Alcohol Content was 232 mg per 100 ml. A focus group also met to discuss the report. The consensus of the group was that road users had a shared responsibility, but that there are three main areas of concern in relation to pedestrian fatalities: visibility, the elderly and intoxicated pedestrians. The visibility of drivers can be impaired due to darkness and glare, this is compounded due to the dark clothing of pedestrians which inhibits the drivers to discern them in darkness. The elderly are vulnerable road users because of their frailty and at times inability to understand speed and distance. Intoxicated pedestrians are a danger to themselves because of the levels of alcohol ingested which cause these pedestrians to be unstable and incoherent. There needs to be focus on the initial training of drivers in order to raise awareness to look more carefully for vulnerable pedestrians and recognise that the conditions on the road change constantly. Technological improvements including cameras and sensors would benefit problems of blind spots for lorries and the haulage industry should continue to lobby the UK and EU governments to change the physical structure of lorries to lower and extend the front of the cab, allowing the drivers to have a wider scope of vision. Closer collaboration between road safety stakeholders would facilitate the exchange of information. 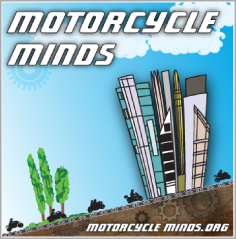 Right To Ride’s Dr Elaine Hardy and author of the pedestrian fatality report will be speaking at the Road Safety GB Conference on 26th November 2014. 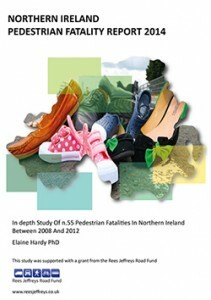 The Northern Ireland Pedestrian Fatality Report 2014 is an in-depth study of 55 pedestrian fatalities, for which Dr Hardy was given access to the case files of the Forensic Science Northern Ireland Road Traffic Investigation Team and the Coroner’s Service, Northern Ireland. The report highlights three areas of concern – visibility, the elderly and intoxicated pedestrians – all of which are underpinned by cognitive impairment. Dr Hardy will use her conference presentation to outline her findings.